The owners of this apartment in Porto Alegre, Brazil, contacted Ambidestro to help them update the design of various spaces within their home. One thing that the designers noted was that the home owners have a collection of 300 blue and white plates. 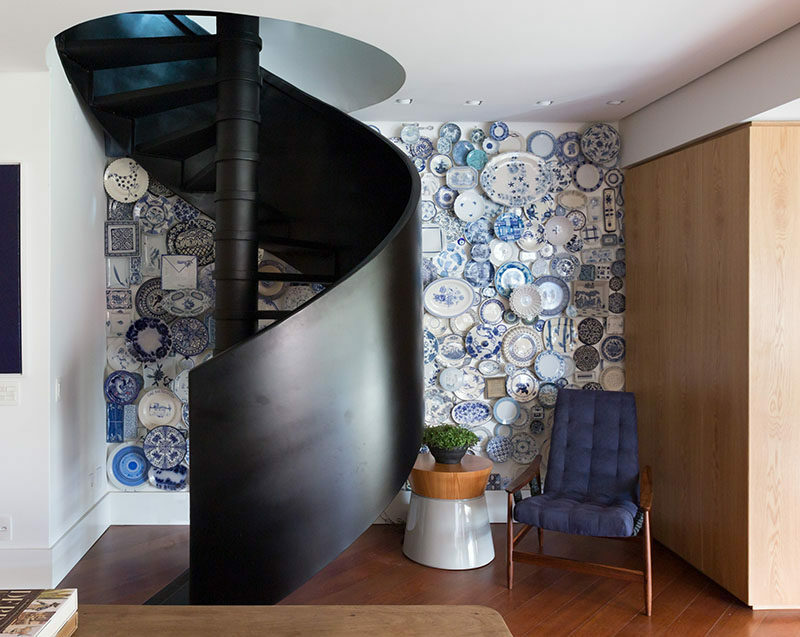 In designing the space, architect João Pedro Crescente dedicated an entire section of the wall behind the spiral stairs to the display of their collection. The 300 blue dishes, coming from all parts of the world, are positioned at different distances from the wall to make up a three-dimensional installation on the 5 meter (16ft) long wall.